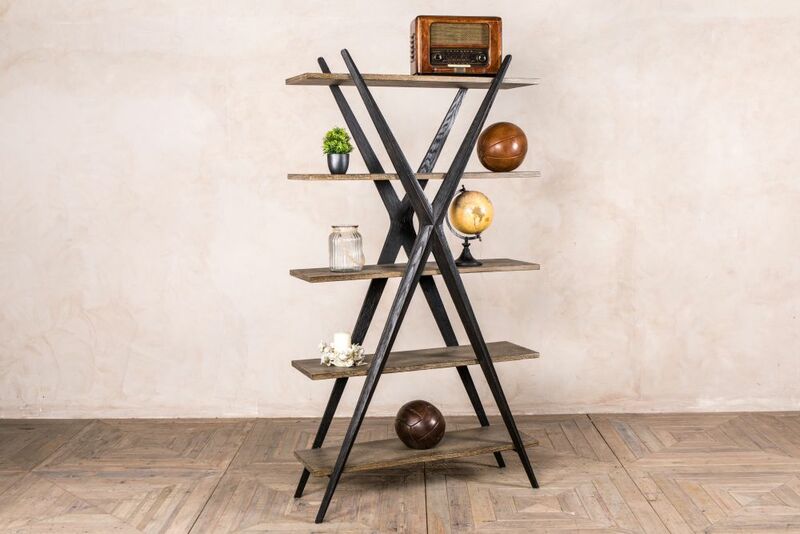 This quirky X-frame bookshelf would be an unusual addition to any interior. 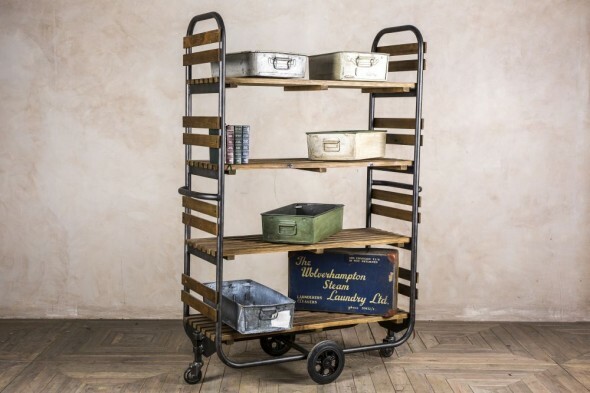 It would go well in a home as a place to store and display books and other items. 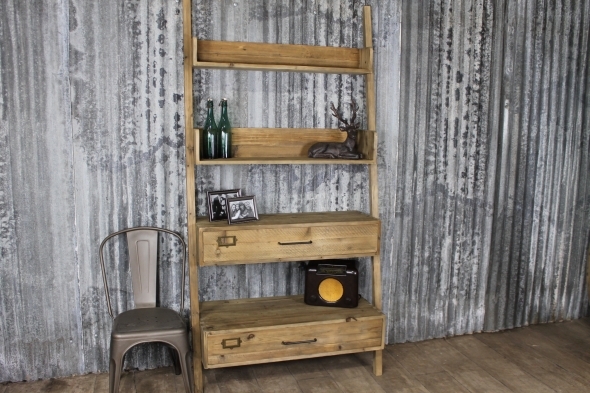 Alternatively, it would be a great feature in a bar or restaurant as a place to display drinks. 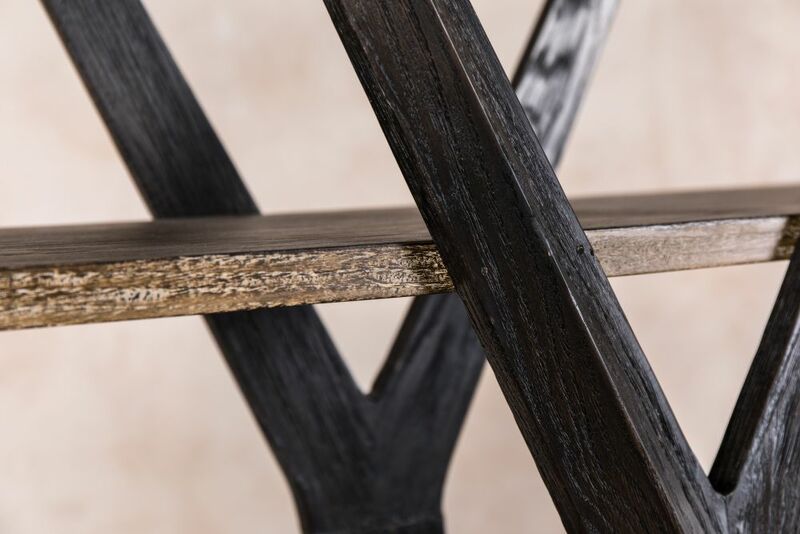 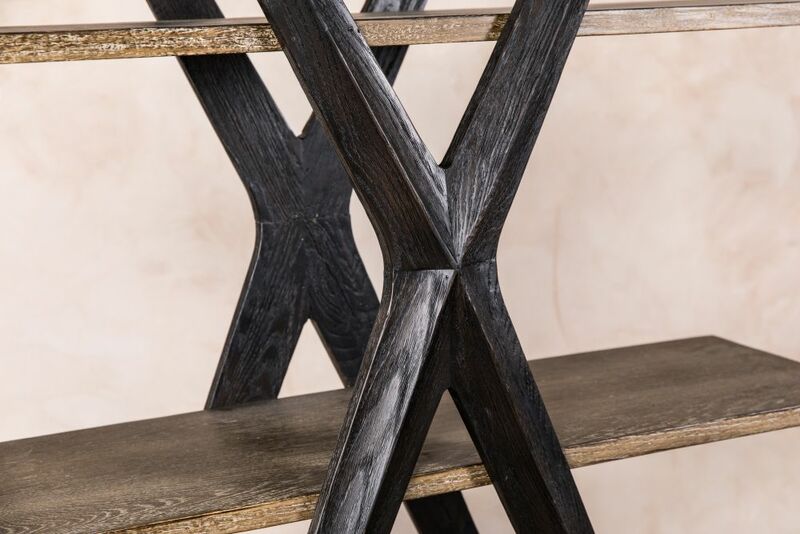 The shelves are made from oak; the X-frame is made from ebonised oak, which provides bold colouring to an interior. 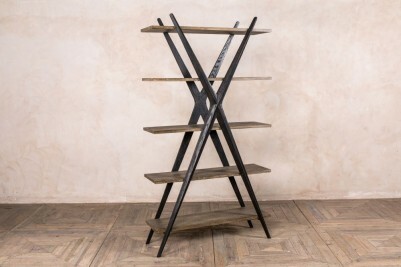 The shelving unit has five shelves, which are generously spaced out to allow room for taller items. This X-frame bookshelf would be ideal for smaller spaces, but it would work equally well in large room that requires some extra storage. 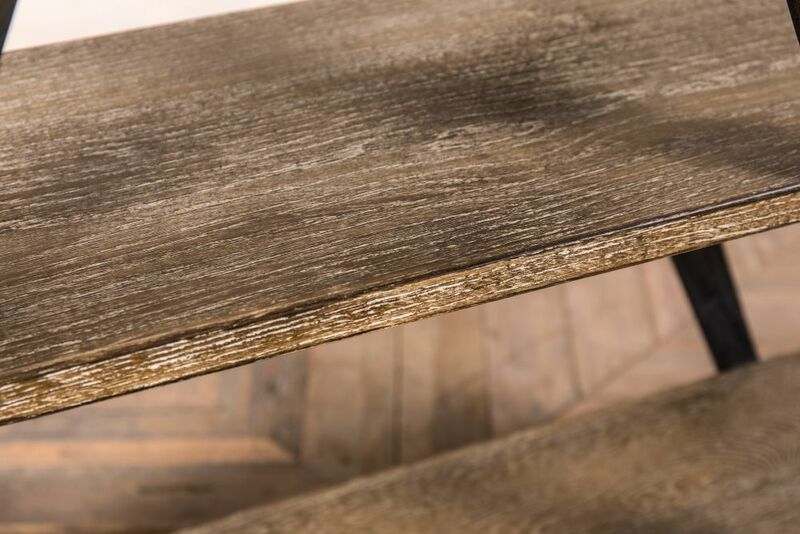 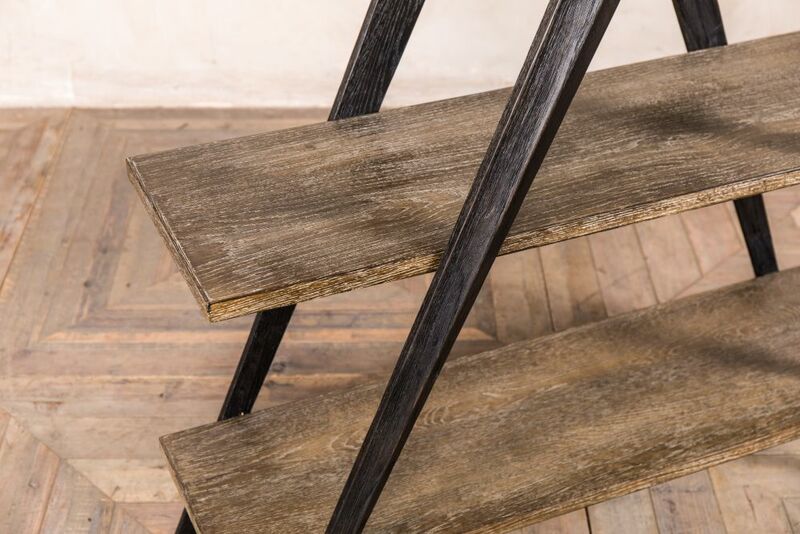 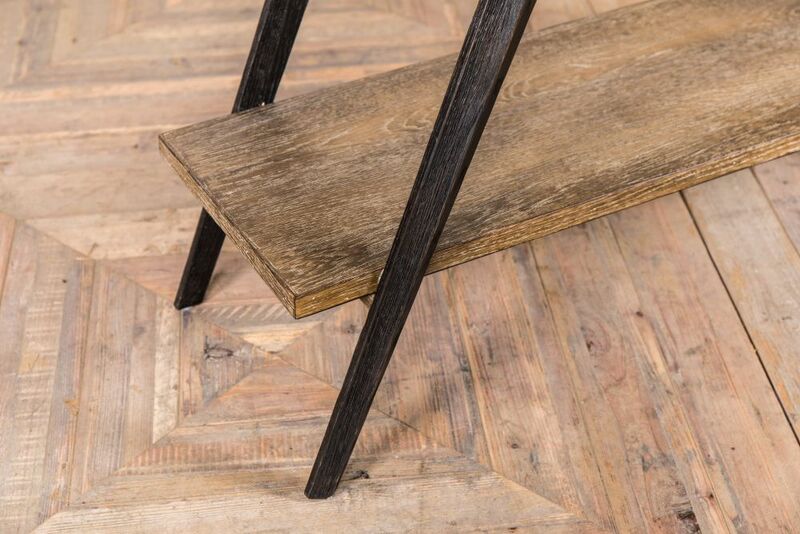 Due to its rustic finish, it would best suit a rustic or industrial style space. 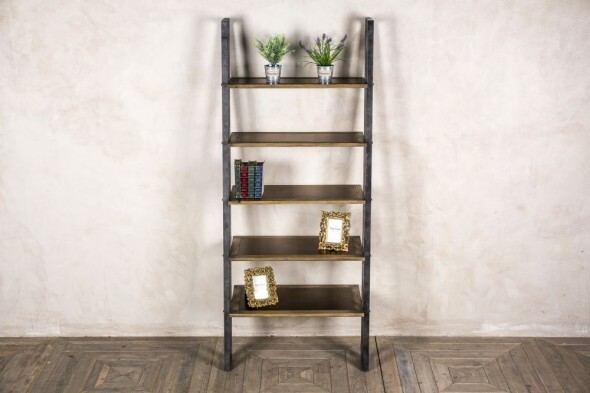 The items pictured with the bookshelf are for display purposes only and are not included in the price.